Not every accident or personal injury is caused by negligence. But it might be negligence if the person who caused the accident acted carelessly. For example, the victim can probably prove negligence when a driver rolls through a stop sign and rear-ends another vehicle. However, there are certain defenses that negligent actors can use to avoid liability. It’s important for personal injury plaintiffs to understand these defenses so they’re thoroughly prepared for litigation. One example is called the sudden emergency doctrine. A reasonable person under similar circumstances would have taken the same course of action as the defendant. For example, imagine that the driver rolled through the stop sign because a passenger in the car suddenly suffered a medical emergency, and he needed to get the passenger to the hospital as soon as possible. A judge or jury might decide that a reasonable person would have done the same thing under similar circumstances. What Is the Normal Standard of Care? The law expects people to act with a certain amount of care. The relevant standard of care is based on whether a “reasonable person” would act that way in a similar situation. The “reasonable person” is a legal fiction asking how a typical person would behave under certain circumstances. Whether a person acted reasonably also depends on whether he owed the injured person a duty of care. For example, drivers owe a duty to other motorists (and pedestrians) to follow traffic laws and to drive safely. So a driver who rolls through a stop sign can be held liable for any resulting injuries. You have four years from the date of the accident to file a personal injury lawsuit in Florida. But it’s usually better not to wait the full statutory period before seeking compensation. You don’t want to risk losing evidence or a witness forgetting the details of what happened. Contact an experienced attorney as soon as possible. Your attorney can prepare for any potential defenses, like the sudden emergency doctrine. 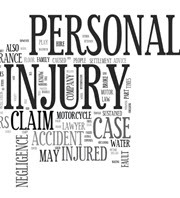 Contact a Fort Lauderdale personal injury attorney at The Pendas Law Firm today for a free consultation if you are injured because of a negligent act. We will guide you through the litigation process and prepare for any defense that’s thrown your way. We will also help you recover the compensation that you deserve, including medical expenses, lost wages, and pain and suffering.